Many of the ultra sensitive blue rays, starseeds, forerunners and old souls who have been on path for a long time may feel fatigued and burned out. Review the way you are meeting the present energies, including your meditations and spiritual practices. It may be challenging to do your normal work and get things done. There is a call for you to have some inner downtime and enjoyment as a result of the years and decades of evolving and transforming the energies. 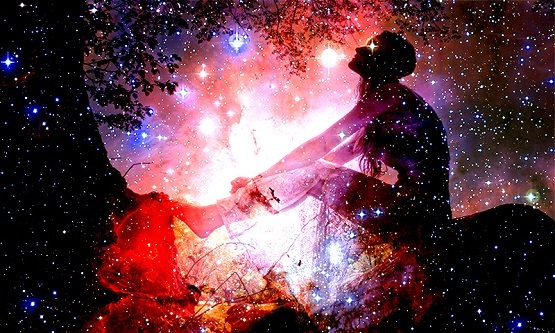 There is an 11 11 and 10 10 evolutionary gateway for the starseeds who are ready to enter into this new multidimensional Universe of awareness. The 11:11 portal gateway is a pre-encoded triggering sequence to activate a higher mission to accomplish in your connection together. The 10:10 Ascension gateway is endings, rebirth, new life in a higher frequency, a full cycle is complete and whole. Once you reach this level you may experience a higher frequency and choose your next course of activation. Through this gateway into your new lifetime, you can bring the greatest aspects—empowerment of soul wisdom, love and what you have acquired. You cannot bring through the gateway what does not serve your new life and purpose, relationships and ties to the past. 13 is “The Return of the Goddess in All Things”. The Sacred Power of 13 brings and carries the frequency resonance of transcendence of matter and the embodiment of ascension, the New Earth frequency code, Unity and Oneness, Mary Magdalene, Mother Mary, Shekinah and Sophia; natural rhythms coming into balance and sacred order; taking back your power through the sacred divine feminine. You are the new forerunners / code carriers and steward ambassadors who have been on the front lines bringing in through the multidimensional realms the download onto this plane. You have been giving birth to the divine vibration frequency to anchor in the grid and new templates. Others may not understand what your mission and path have been or recognize how you can be so fatigued and need review and recuperation. They do not have an understanding of this and those realms of service. They may be trailblazing around you and saying, “Let’s go to the next project,” without regards and reverence for the needed allowance for you and the integration. As this time stabilizes within you, the energy fields of grace of harmony and the right alignment of the gateway may occur. The combined gateway of the 11 11 and 10 10 at the same time is suggesting you take some time to review and retreat as the new signals are being presented to you. Be still and watch the new direction of spirit. If you continue pushing in the way that you have, you will miss this opportunity even doing the same rituals and routine in the same way. Take this time of renewal, quiet and not pushing the energies. You are allowing for the high-frequency energies to pierce the veil and connect with you in new ways of being. Joy, love and laughter is calling as your inner child wishes to play. Are there things that you loved to do and have forgotten and can you allow them back in your life in new ways? If you’re having recurrences of health issues, energy drains and/or fatigue and new sensitivities crop up, then you’re being asked to tune in and not necessarily do what you did in the past and/or what is standard. Nature and another level of self-love to your connection to life and others are playing a key role here. What is required for your renewal and transcendence is very specific in balance to your body’s sensitive template and suitable for you but not necessarily good for another. The ultra sensitive empath, starseed and blue ray needs to honor his or her unique path, rhythms and cycles as they have beautiful gifts to give you. An upgrade of a greater stability and foundation is being created for you. Your presence of being is a grand frequency gift to the Earth and humanity. You are re-establishing the empathic sacred resonance fields to Earth, Nature, the Universe and Cosmos. This entry was posted in Uncategorized and tagged 10:10 Ascension gateway is endings, 11 11 and 10 10 evolutionary gateway for starseeds, 11:11 portal gateway, 13 is "The Return of the Goddess in All Things", be still andwatch the new direction of spirit, Gateway Number Sequences Meanings, joy, love, love and laughter is calling, Shekina Rose. Bookmark the permalink.